Thảo luận trong 'English Discussion' bắt đầu bởi byby, 18/6/14. VietNamNet Bridge - From more than five centuries ago, Hoang Sa (Paracel) and Truong Sa (Spratly) islands were acknowledged by Western cartographers and navigators as the territories of Vietnam. This map by Jodocus Hondius in 1613 shows the Paracel Islands, and includes all of the islands of Vietnam from the southern Gulf of Tonkin to the southern coast of Vietnam, except Pulo Condor (Con Dao) and Pulo Cici (Phu Quoc), which are drawn separately. 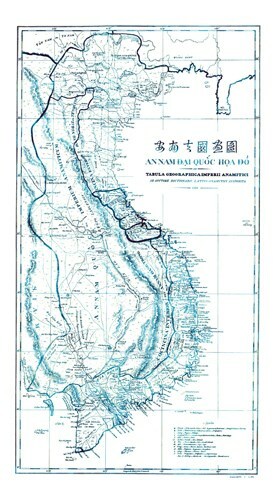 While the ancient maps of China published by China itself and other countries before the twentieth century show that Hainan Island is the southernmost border of China, many ancient maps of Vietnam, published by the world and Vietnam itself drew the Paracel and the Spratly Islands as Vietnamese territories. 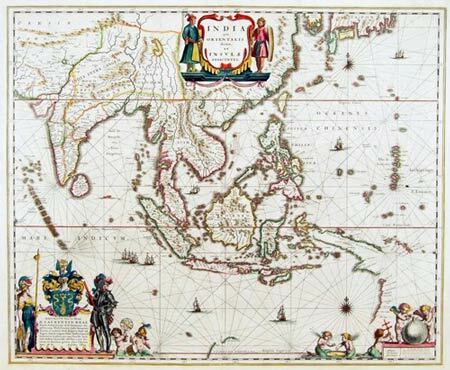 In this article, we refer to the world maps or the maps of Southeast Asia drawn by Western navigators, geographic explorers and merchants from the sixteenth century to the nineteenth century. "These maps present by drawings or noting the positions of the two archipelagos of Paracel and Spratly in the waters of Vietnam with many different names. This proves that from the sixteenth century, many Westerners had known about the Paracel archipelago as part of the territory of Vietnam at the time," said Dr. Tran Duc Anh Son, deputy director of the Da Nang-based Institute for Socio-economic Development Studies. According to Dr. Tran Duc Anh Son, on these maps, both the Paracels and Spratlys are often described as the long "blade" along the coast of Vietnam. The names of the islands and archipelagos are quite clearly stated on these maps. The tip of the "blade" is often noted I. de Pracel or Paracel Islands, Paracel, Paracels, Pracel, Parcels, etc. The end of "blade" is often credited as Pulo Sissir (or Pullo Sissir, Pulo Cecir), including two islands: Pullo Sissir da Terra (Cau Island) and Pullo Sissir do Mar (Thu Island) in the Binh Thuan coast today. In the map by Homann Heirs in 1744, the Paracels is noted as "I. Ciampa," which stands for "Islands Ciampa”, meaning "The islands of the Kingdom of Ciampa. "Ciempa or Campala are the names of the Cochin called by Western countries at that time since they believed that this kingdom was the old land of the Champa Kingdom. The Vietnam coast facing the island which the westerners noted as Pracel or Paracel, i.e., the coast of central Vietnam today, is noted as Costa da Paracel or Coste de Pracel, i.e. the shores of Hoang Sa, or the Costa de Campa, ie Champa coast. These notes demonstrate that the Western navigators and geographers at that time recognized these two islands belonging to Vietnam, at the time calling them Cochinchine, Cochinchina, Cauchy-Chyna, Cochi-China, Cauchim Chynan, Annam, or Champa. In particular, the map of An Nam (Vietnam today), by Bishop Jean Louis Taberd in 1838 has the Latin letters “Paracel seu Cat Vang”, meaning "Paracel or Cat Vang". Bishop Taberd is the author of an article in The Journal of the Asiatic Society of Bengal (No. 6, 1837) published in Calcutta, which confirmed: "Paracels or Pracel, i.e., Hoang Sa – Con Vang, belongs to Cochinchina" – that is, to Vietnam. The original map is now kept at the Richelieu National Library in Paris, France. The map of An Nam by Bishop Taberd 1838. 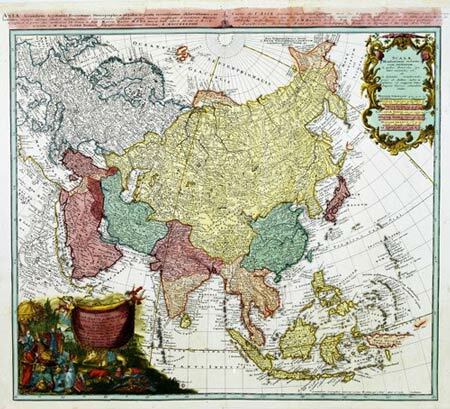 "That’s the implicit way that the world has recognized that the Paracel Islands truly belong to the sovereignty of Vietnam for at least the past five centuries," remarks historian Nguyen Dinh Dau, a leading expert on antique maps of Vietnam. 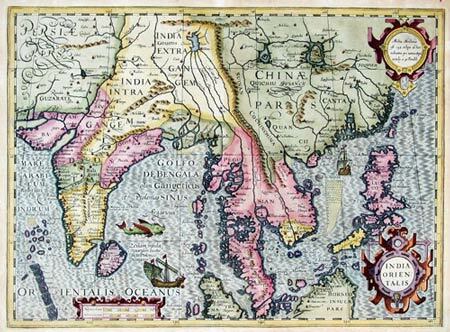 Dau has collected 30 old maps from the West, dating from 1489 to 1697, which show the Paracels and Spratlys Islands belonging to Vietnam. In the map drawn by W. Blaeu in 1645, the Pracel Islands are connected with the islands of Pulo Secca de Mare (Cu Lao Thu or Phu Quy island today), Pulo Cambir (Cu Lao Xanh)and Pullo Canton (Cu Lao Re or Ly Son Island today) to form an uninterrupted chain of islands belonging to the territory of Cochinchina (Vietnam today). Mr. Tran Thang, a Vietnamese American, also collected many world maps demonstrating that the Paracel and Spratly islands belong to Vietnam. Thang presented these maps to the Institute of Socio-Economic Research and Development Studies of Da Nang. So far this Institute has collected about 200 similar maps. In addition to the proven historical facts, and the written sources in many different languages, the ancient maps of the West are the evidence proving that more than five century ago, Vietnam had established sovereignty over the Paracel and Spratly Islands. That sovereignty has been recognized and noted by Western cartographers, navigators and geographic explorers on their geographical and marine maps. The map by Visscher in 1680. 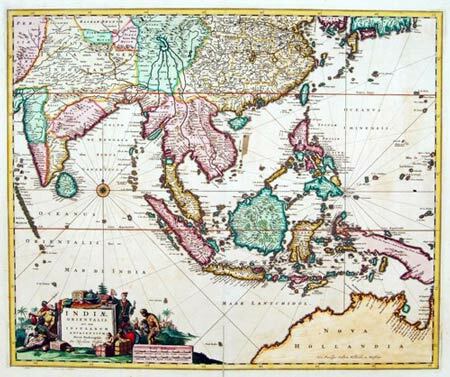 Some world maps prove Vietnam’s sovereignty over the Paracel and Spratly Islands: The Asia map drawn by Gerard Mercator (1512 - 1594) in the late 16th century; the East India map by Pieter or Petrus in 1594; the India Orientalis map by Jodocus Hondius in 1613; the Insulæ Indiæ Orientalis Praæcipuæ map by Jodocus Hondius in 1613; the Asia noviter delineata map by Willem Janszoon Blaeu in 1617; the Asia map by John Speed in 1626; the India Orientalis map by Gerard Mercator in 1630; the Insulæ Indiæ Orientalis map by Jodocus Hondius in 1632; the Carte de l'Asie map by Van Lochem in 1640; the India quæ Orientalis dicitur, et Insvlæ Adiacentes map by Willem Janszoon Blaeu in 1645; the Indiae Orientalis map by Visscher in 1680; the Carte des Costes de l’Asie sur l’ocean contenant les bancs isles et costes & c. by Alexis Hubert Jaillot in 1720; and the Carte de l'Asia map by Homann Heirs in 1744.